In his own words, Vasanth Gopalakrishnan is a ‘biker and family man’ who, in his free time, loves gazing at endless vistas from mountain tops with a camera in tow. While he dreams of finally leading a hermit’s life in Leh, Vasanth has taken up writing and photography which feed his passion for travelling, more often than not, on his Bullet! It is all this that forms the significant backdrop and contributes to his travelogue Sojourn in Sub-Zero. What we get as we read this travel account is a good idea of Vasanth’s idea of travel in general, a short peep into Leh’s local culture, persistent doses of marital humour and unexpected travel travails which translate into moments of epiphany as well as thoughts of gratitude god-wards. 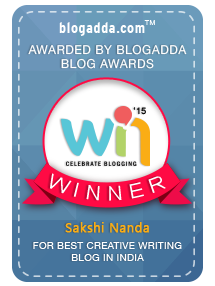 Cold is a constant presence and source of concern and rightly acknowledged in the title of the book itself. Vasanth shows what the true essence of travelling for him is … ‘When you plant yourself in an uncertain terrain trying to figure out the way forward.’ The places remain the same. But ‘what changes is the experience that different people go through while travelling to these places.’ And it begins small, say trying to figure out the correct seats for catching the sunrise during the flight! Travel also means not just planning but being prepared for the unexpected surprises, like finding an abandoned bridge with breath-taking icicles hanging below it. In astonishing quiet, a traveler’s imagination should run wild and in all the din he should be able to ‘forget everything that you were complaining about, craving for or blaming the Almighty for.’ To simply sit, camera forgotten, and breathe in the moment. And then, ‘situations … teach you some valuable virtues’ without meaning to, even if it is Patience while waiting for a road block to be cleared and nothing to do. Those who love to travel will find through the author’s 80-pages long sojourn, what it means to them to travel, after the leaves from office have been approved and ‘all the fire in the world either diffused or deferred.’ There are thoughts in the book which make you meet truths you always knew but never acknowledged. How the ‘wonders of nature never get boring’, no matter how many times you’ve seen them. Or how ‘where devils go, there lies a great photo.’ You reach a ‘Line of Control’ and you realize it’s invisible, wondering where ‘the perceived difference between the people will end?’ And finally, how the same activity done in different times can generate different emotions, like packing for a trip and then again for coming home at the end of the sojourn. It is at this essential level, where simple truisms reveal themselves, that fellow-travelers will connect with Vasanth the most. Vasanth is doing his marital duties towards Sumathy. He is fulfilling the ‘obligation of finishing what would be spared by my better half’ one heavy breakfast to another. He is running a tips-and-tricks commentary for her about a terrain he has measured on his Bullet. And he is also showing the right amount of hero-bravado by stepping into high velocity winds. Best of all, he is leaving Sumathy in the cozy confines of her hotel when she wants to rest her feet, alone. Sumathy is a constant presence next to him as the cold is around him. But one is left wishing, after all the good-humour around marriage, that she came through as a flesh-and-blood companion in this ‘Sojourn in Sub-Zero’. Of course, there are some others who they meet and who become people in the book. From home stay owners to restaurant servers, from Habib and family to the loyal driver and guide and the ‘stickler for punctuality’ Haq Saab, Vasanth has, with great regard, shown the innate goodness of everyone he met. The locals ‘hold the fort despite the aggressive onslaught of the freezing weather’. The magnanimity and feeling of humanity, even if in the form of homemade cookies and green tea, makes our travelers realize how small towns hold a warmth that bigger cities don't any more. The beauty of communicating without a shared language and the wonder of realizing that strangers can be saviors make for heart-warming memories. Like the ‘unsaid agreement’ between drivers of cabs moving together on precarious routes, watching each others' backs. Or the ‘shroud of sadness’ in Haq Saab’s eyes when it is time for Vasanth and his wife to bid goodbye. It is these people who give an enormous amount of character to the book. And it is this portrayal which creates an unknown land in our mind’s eyes, much better than any information or description of any site can, or has in the book. Of course, not all is pretty and travel comes with challenges too. Travel travails come in all sizes. Imagine being told that you have to wait for the television to come on, for it takes a while for it to heat up! Or the water in the commode being frozen! And now imagine a head heavy with AMS and a cab taking three hours to cover mere 10 kms of a road full of slippery snow, water streams, landslides and deep pits. All this after giving the cars TLC in the form of quilts for engines and tea down the radiators for warmth. ‘Sojourn in Sub-Zero’ tells us about problems typical of the harsh climes of Leh and the ingenious solutions devised by the locals, with a gentle reminder that these bits, novelty for us city-dwellers, are means of day-to-day living for those in Leh. ... and there are a few which interfere with enjoying this trip fully! Vasanth made us expect a different kind of travel account, an unconventionality of holidaying that doesn’t believe in site-hopping alone. However, despite the moments of surprise encounters, the book predominantly moves from one popular tourist site to another. Which would have been fine, except Vasanth fails to bring alive those exotic places in the readers’ minds through his words. The ‘wide spectrum of emotions’ he wanted to convey is not so wide, and usually told, not shown. ‘I felt like I was watching a movie through a bioscope’ and the many cross references to movie scenes at opportune times make for insufficient description. The book is ridden with references to him taking photographs and capturing beauty. The reader will find herself wishing for those pictures, hoping they would make up for what the descriptions fail to create. Then, it would have been useful to know if the airport in Leh is not ‘possibly one of the highest in the world’, or the name of ‘special wooden instrument’ used for making Ladakhi chai, the ‘some kind of inflammable liquid’ used in Losar celebrations, what the ‘parade of burning hay-balls’ is actually called and so on. Vernacular terms would have added an authenticity to the account which those interested in travelogues hunger after. The tenses in parts of the book are out for a stroll, 'breathe' usurps 'breath' space and ‘arctic conditions’ is perhaps not the best phrase to describe an entirely different geographical location. Like a travelogue is meant to do, ‘Sojourn in Sub-Zero’ does somewhat acquaint you with a place which retains its mystical charm despite its tourist popularity. It also makes you meet some lovely people there. It carries moments both serene and shocking, throwing light on facets of travel and bringing to you lessons drawn from Vasanth’s own life. But it leaves you asking for more, falling a tad short of fully satisfying your traveller-curiosity about Leh. Descriptive attempts fail to evoke images of the described, the reader remaining unable to see Leh fully through Vasanth's eyes. What does come across completely is Vasanth’s love for this land and a young spirit hungry for adventure. 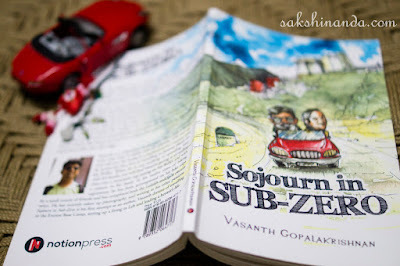 Perhaps, a conversation with Vasanth will more successfully enthuse one about Leh and about travelling, making up for bits that his book ‘Sojourn in Sub-Zero’ lacks. 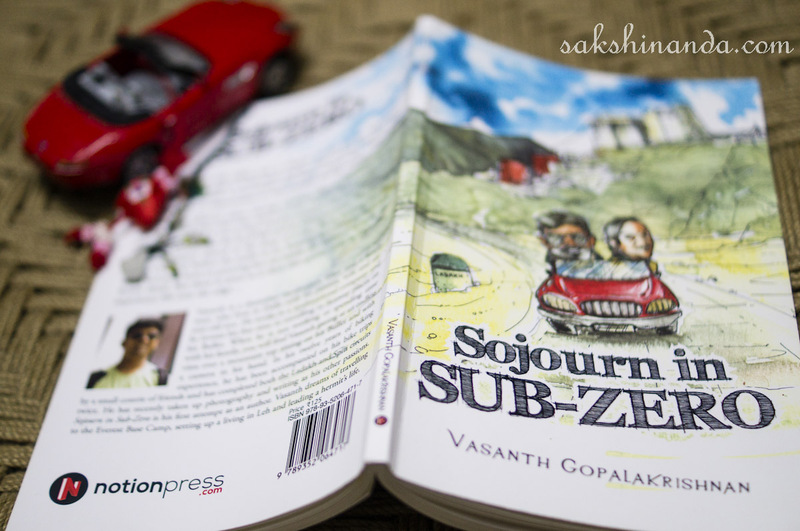 'Sojourn in Sub-Zero' by Vasanth Gopalakrishnan is published by Notion Press, 2015. Writing essays have become a most common assignment during students' academic life. However, the majority of the students used to face trouble with writing their essay papers since they are not born writers or professionals in writing. The law essay writing service helps more and more people every day, so let the professionals take an assignment off your shoulders so you can feel free about your essay writing task.